Chelsea is extremely walkable, is easy to get around on a bicycle and has excellent transit, according to Walk Score's rating system. So what does the low-end pricing on a rental in Chelsea look like these days--and what might you get for your money? We took a look at local listings for studios and one-bedroom apartments in Chelsea via rental site Zumper to find out what price-conscious apartment seekers can expect to find in this New York City neighborhood. Here's a one-bedroom, one-bathroom apartment at 330 Eighth Ave., #4C, which is going for $3,100/month. In the unit, expect high ceilings, hardwood flooring and closet space. The building includes an elevator. Pets are not permitted. Expect a broker's fee equal to one month's rent. Then there's this 670-square-foot apartment with one bedroom and one bathroom at 166 W. 26th St., #16G, listed at $3,680/month. The apartment boasts air conditioning, hardwood flooring, high ceilings, a dishwasher and in-unit laundry. Amenities offered in the building include a roof deck, a fitness center, concierge service and outdoor space. Animal lovers are in luck: the building is pet friendly. The rental doesn't require a leasing fee. 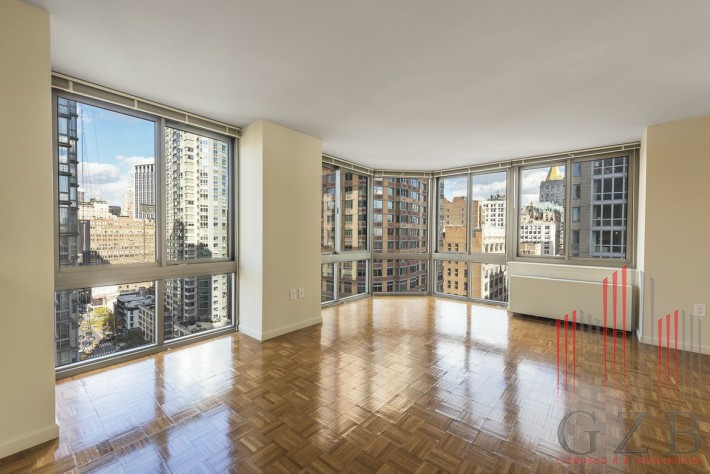 Listed at $3,780/month, this one-bedroom, one-bathroom apartment is located at 100 W. 31st St., #20K. When it comes to building amenities, expect garage parking, a swimming pool, a roof deck, a fitness center and outdoor space. In the unit, you'll find high ceilings, hardwood flooring, a deck, in-unit laundry and a dishwasher. Pet owners, inquire elsewhere: this spot doesn't allow cats or dogs. Future tenants needn't worry about a leasing fee.